We agree with Brock Rumlow. 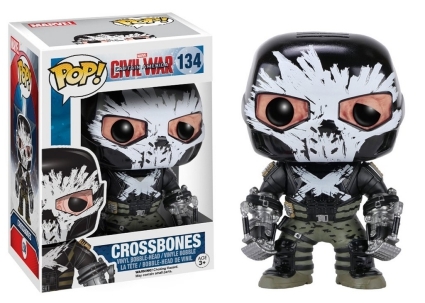 All things considered, he does look good, but Funko Pop Crossbones figures are even more appealing! Although originally introduced to the Marvel Cinematic Universe (MCU) in Captain America: The Winter Soldier as a S.H.I.E.L.D. agent, Rumlow received his first Crossbones vinyl with the Funko Pop Civil War release. The main Crossbones option features his full battlefield suit topped with the familiar helmet and mask combo. Shop for Pop Crossbones Figures on Amazon. 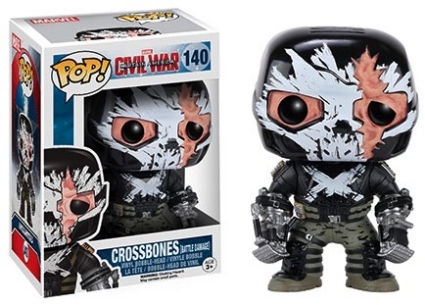 Funko Pop Crossbones also offers retail exclusives for Mr. Frag, including Crossbones unmasked. This figure reveals the burn scars on his face and is issued through Barnes and Noble. Meanwhile, the Target exclusive features the Crossbones Battle Damage edition with part of his mask broken. 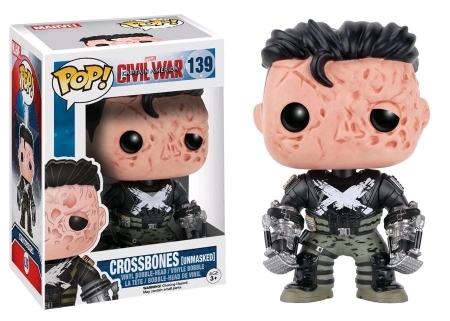 Increasing the overall MCU choices, Funko Pop Crossbones figures are numbered into the massive Pop! Marvel line. Funko POP! Marvel Lot of 13! Civil War Crossbones Red She-Hulk Daredevil Falcon! View information on other Crossbones collectibles with our related set profiles.